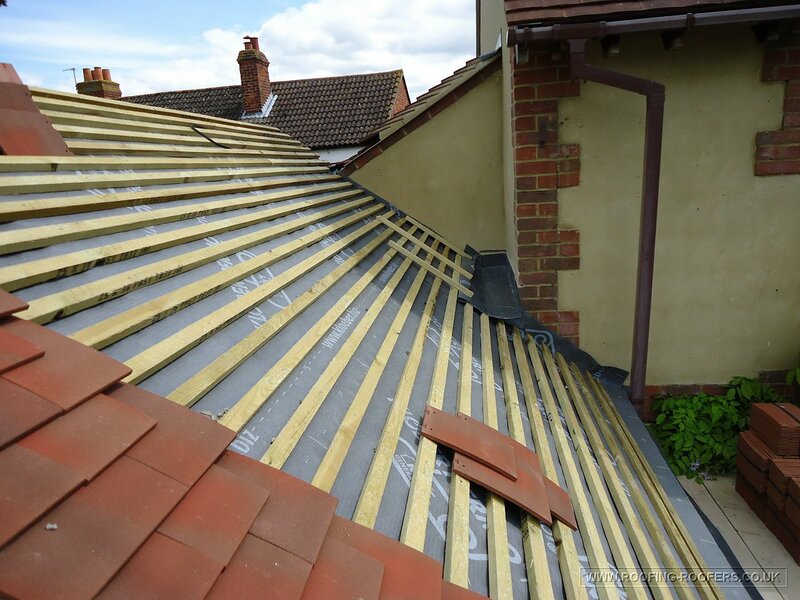 Felt, batten, tiling, leadwork and sealoflex flat roof. 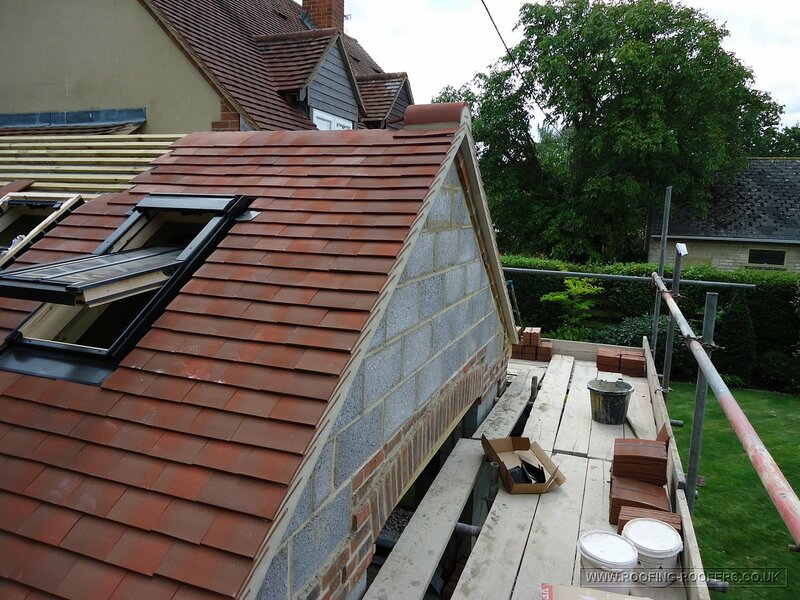 I have already posted about the work carried out in my Flat Roof category and now I can detail and show the tiled roof part of this project. 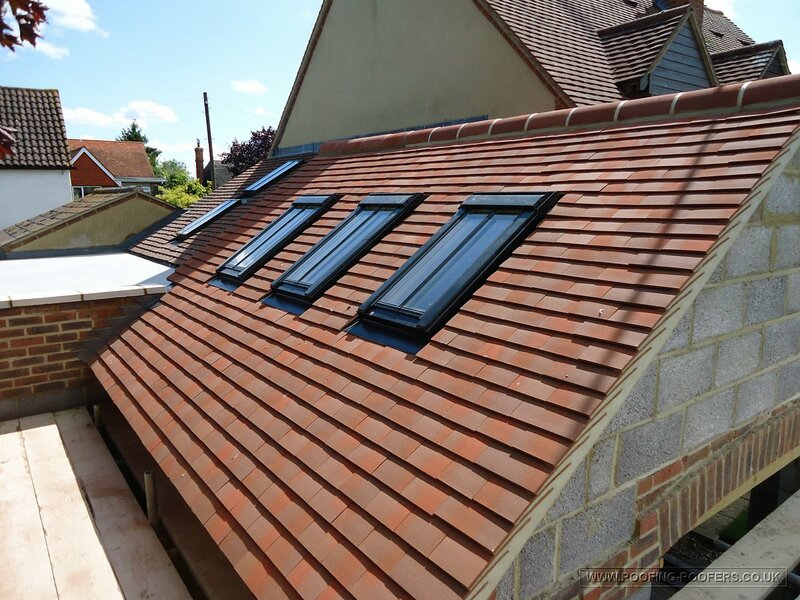 This is an extension roof with plain clay tiles and three velux roof lights installed. The roof had some intricate detail with various abutments and other roofs meeting together. 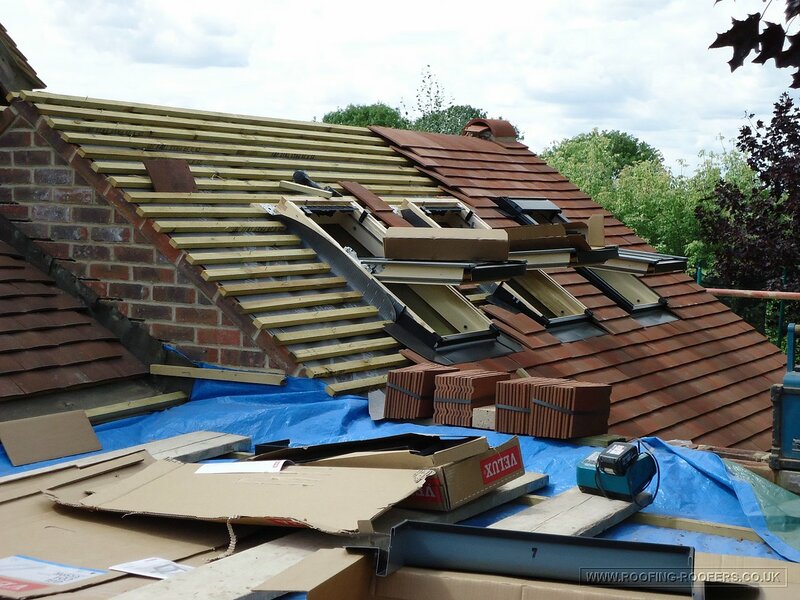 I started by felting and battening the roof and getting the verge tiles bedded on, with the first ridge on it could all be pointed in neatly and flush. The velux windows were fitted so I could tile and cut around them. There isn’t much of a run to get into this roof and with so much detail it takes time to get around to each area. 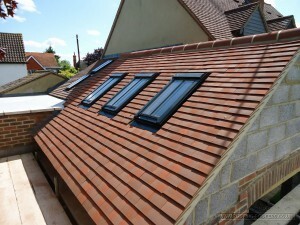 The windows had to be installed seperately and cut around before the next one can be completed. The other side of the roof has another detail. 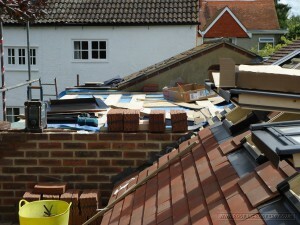 A lead gulley had to be put in as it went down into the existing house. 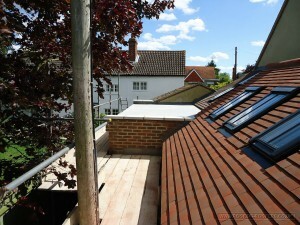 This required a carpenter to form a timber substrate to which the lead work was formed and fitted. 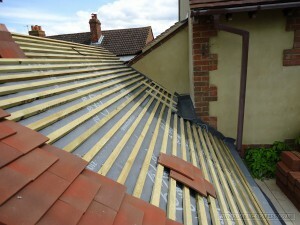 If you look at the verge above the gulley, that runs into the verge of the new roof which required a lead detail too. 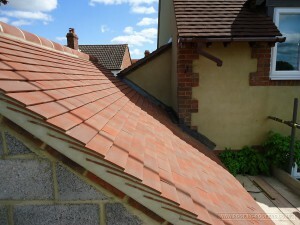 The verge tiles and end ridge bedded on with sand & cement and pointed to a neat flush finish. Views of the finished work before removing the scaffolding, the overall roof work the client was very pleased with and it reached their full expectations of the aim of the extensions in not only creating space but also using available daylight via the Velux roof lights. This entry was posted in Roof Tiling and Slating and tagged flat roof, roof tiling, velux roof lights by admin. Bookmark the permalink.